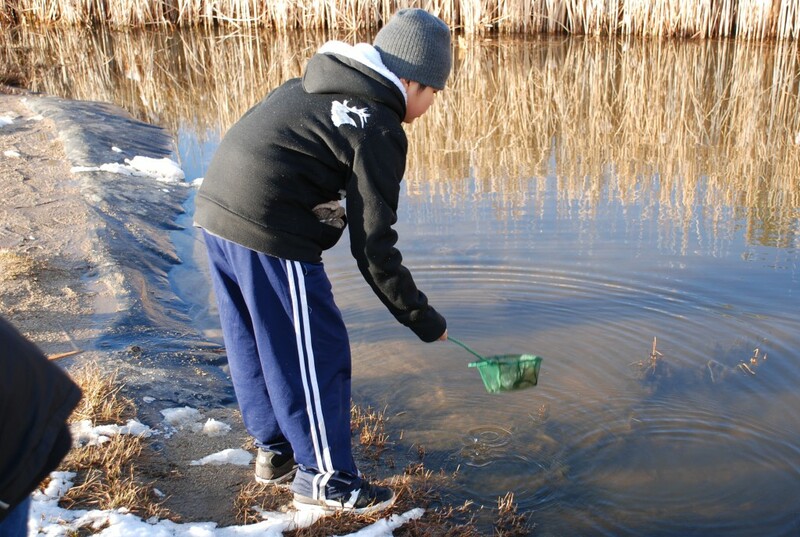 It was a typical day at Pathfinder Ranch with the typical questions for freshwater ecology. The students and I were just about to analyze the macroinvertebrates we’d discovered during our water sampling when a student asked me a question about his science journal. He was trying to remember how to spell “biotic,” because his teacher included correct spelling as part of their journal grades. After working it all out, he smiled and walked back to his group to analyze their sample. Meanwhile, I reflected on this question and the true value of the science journals. Our students have a variety of needs, and we pride ourselves on taking unique and experiential approaches to benefit their different learning needs. Our science journals accommodate various learning styles, and varying degrees of prior knowledge. In addition to matching, fill-in-the-blanks, and multiple choice questions, we’ve added sections for thoughtful reflection, free hand artistry, and critical analysis of the environment. We want to provide our students with as many opportunities to express their thoughts, and assess the students’ retention levels at the same time. We aim to help build students’ vocabulary, the meaning behind that vocabulary, and their understanding of the environment. Spelling “biotic” correctly is the initial step to understanding the bigger picture of ecology, and that every living thing interacts with one another and their environment in order to survive. 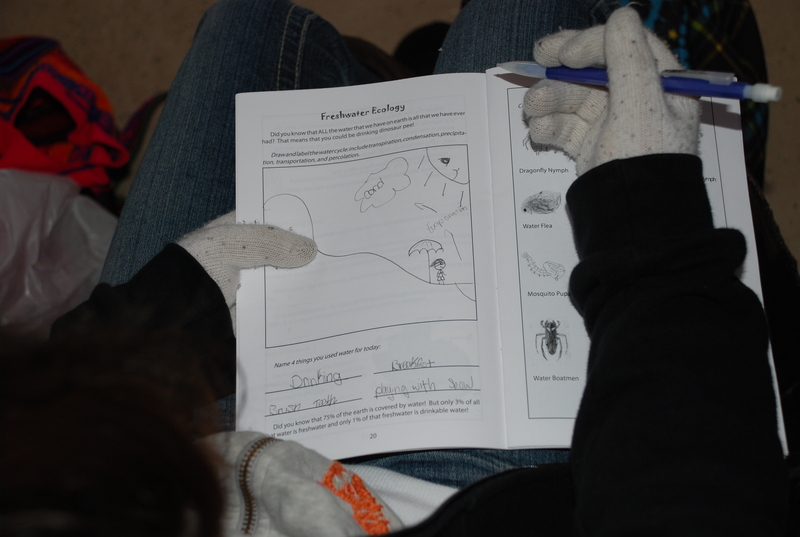 Here’s a student filling out their science journal during freshwater ecology class. At Pathfinder Ranch, we are constantly working to improve our curriculum, especially now with the approval of the new Common Core and Next Generation Science Standards. Some schools and districts have already integrated the Common Core, or parts of it, which has led Pathfinder Ranch’s outdoor education staff (naturalists) to begin looking at our current science journal. Our naturalists have made it a high priority to revitalize our science journal based on these new standards, and the overall direction that education is taking. In this process we are realizing the areas for more growth, new classes and activities, more open-ended questions, and more critical thinking. With the help of our science journals, we hope that students construct a greater meaning and personal connection to the lessons and memories that they experience while at Pathfinder. These journals should be an immediate tool for students to experience authentic learning. It should also be a tool for when they become adults, and a way to reflect on how their experiences at Pathfinder have affected them as individuals. So students, keep a close eye on your journal…You never know when you might want to look back at it, and remember all the fun you had while learning in the beautiful San Jacinto Mountains!